Well, it’s New Years Eve, and holiday parties are erupting everywhere. This is the big payoff for all the holiday buildup that came before, so let’s listen to some lush and lively holiday tracks appropriate to the grander scale of these holiday festivities. This is a Korean massively multiplayer online roleplaying game based on the fantasy novel Children of the Rune. The game takes place on a single massive continent, and players visit various cities and explore a deep storyline adapted from the novel. The Christmas season is celebrated in-game with several versions of classic holiday songs, including this radiant version of “Feliz Navidad,” that has some of the broad grandeur of a pop anthem from the 1980s. This game was bundled with the premium versions of the Wii U, and offered a theme park full of minigames meant to demonstrate the capabilities of the new console. The Metroid Blast minigame allowed players to either fly in Samus’ gunship or battle on the ground below wearing environment suits. In the subzero level, players shoot their way through icy caves, wiping out waves of enemies. The music for this level is a sparkling and adventuresome romp with a sense of faint danger – a great soundtrack for a wild ride on Santa’s sleigh. One of the iconic aspects of the Final Fantasy game series is the Chocobo – a yellow flightless bird that can be mounted and used as a jouncy and humorous means of transport. This game focused solely on these birds, which have become trapped in an underground maze and must find a way out. This track, “Chocobo’s Happy Christmas,” allows us to enjoy the holidays through the eyes of these sugar-sweet creatures. 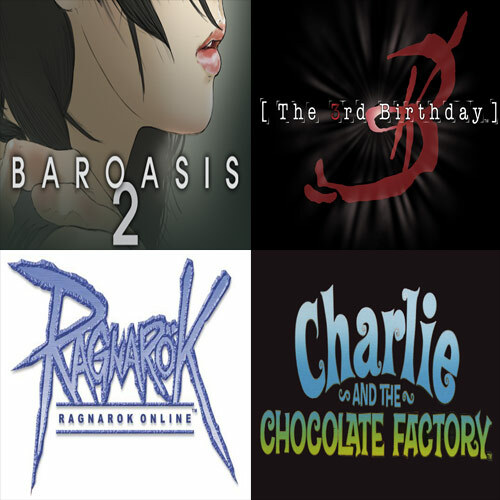 Well, that’s it, friends – video game tunes for the holiday season. I hope everyone has had a joyous holiday, and may all of us enjoy a wonderful New Year! Continuing my three-week series of video game music for the holiday season, let’s now listen to some tracks that set the mood for cozy and comfortable holiday evenings at home, sipping hot cocoa by the fireside while watching the snow turn the world outside into a marshmallow dream. This IOS game casts the player as a bartender. The challenge comes in the mixology, but the interest is entirely derived from the cast of characters and elaborate storyline. The music also includes a mellow version of “Silent Night” carried at first only by piano, with a bit of synth and shaker to keep things moving. Soon, however, the music swells with soulful holiday spirit. A Korean massively multiplayer roleplaying game, Ragnarök Online is set in an elaborate fantasy world based on Norse mythology. Incorporated into this solemn fantasy setting is a more cheerful place called Lutie, the town of eternal Christmas, which can only be reached by talking to an NPC character resembling Santa Claus. This track is a mellow theme that greets players while wandering this holiday-inspired town. With the sound of silver bells and raging shopping-mall mobs, the holidays are upon us. For gamers such as ourselves, the cognitive dissonance between predatory gift-hunting and Yuletide joy is easy to reconcile – we’re fully accustomed to the fetch-quest and reward system. We love the challenge of fending off crazed hordes. Plus, the musical soundtrack to our holiday adventuring is always catchy and cheerful. So, to celebrate, I’ve pulled together some video game music that sets an appropriately festive mood for the challenges and trials of the holiday season. 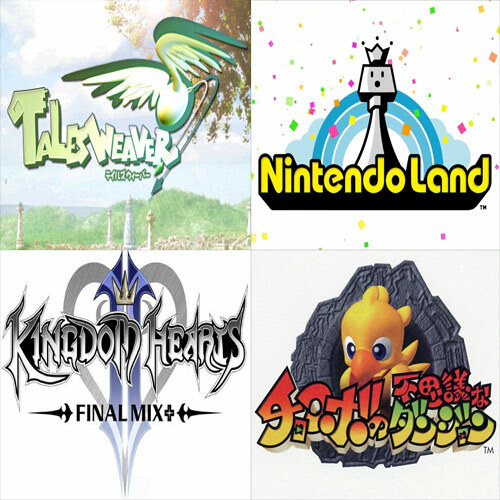 This week is devoted to game music that evokes the cute and cuddly emotions we remember from our childhood holidays. This short game was released by Sega in a bundle with their Sega Saturn console, and was also provided as a free giveaway on CD-ROMS packaged with various game magazines. 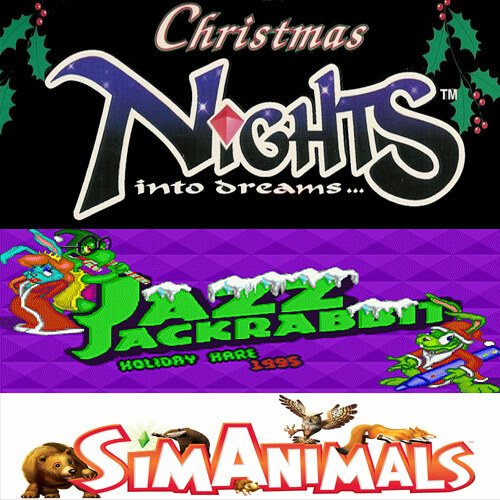 Christmas NiGHTS is an upbeat holiday experience, set within the fantasy world established in the Nights Into Dreams video game. “Christmas in Nightopia” offers a cutesy soft-pop rendition of Jingle Bells. Jazz Jackrabbit is a green bunny from a sci-fi future in which tortoises and hares have waged war for generations. Despite the oddly grim premise, the games featuring Jazz Jackrabbit are light-hearted cartoony platformers developed by Epic Games (best known for Gears of War and the Unreal series). In 1998, Epic released a Christmas edition with additional levels and a new boss. This is the music from the first level of the Christmas edition. I composed the music for this game about taking care of the natural world and providing a good home for a growing animal kingdom. Much of the music for this game fell into the “cute and cuddly” category, including the main theme of the game, which is sparkly and spritely enough to make it a possible soundtrack for holiday shopping and decorating. For game composers, it’s a good idea for us to try to spruce up our professional web sites with some new content on a regular basis. Keeping things fresh helps to make our web sites feel continually relevant and useful as an information resource for our potential clients. 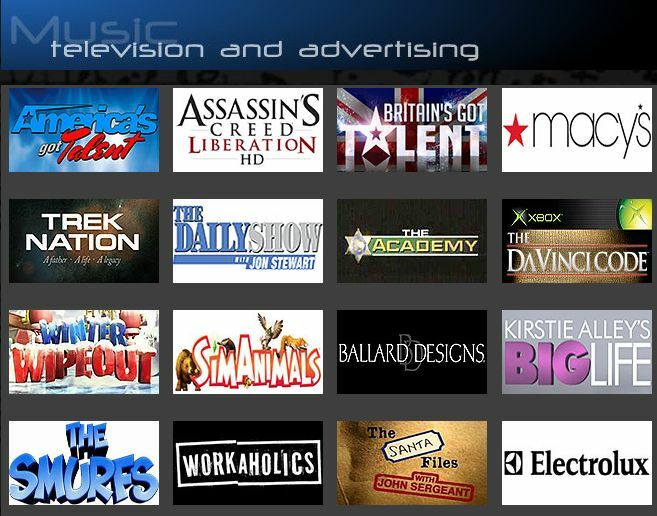 Recently, I added a new page to my site, devoted entirely to a collection of videos that demonstrate some of my music credits for television and advertising. Being a game composer doesn’t necessarily mean that our skills won’t translate well to linear entertainment like television programs, advertisements and trailers. It can be interesting work, and it provides us with something that most of our game projects don’t – backend income. When music is played within a video game, this isn’t considered to be a “musical performance” by the performing rights societies, so game composers don’t receive any compensation based on how many times their music might be played. In this particular regard, television is superior to games. I think it is always a good idea for a game composer to look into diversifying into television as a side endeavor. I’ve had some fun experiences connected with my television composition work. Hearing my music suddenly pop up in a commercial during the Thanksgiving Day Parade last year was a highlight. Once, I was taking a taxi to the airport and I heard one of my tracks in a car commercial – I told the cab driver, and I think he was more excited than I was! I also composed some music that was featured in Macy’s campaign for the Make-A-Wish foundation, so that warmed my heart. I hope you find the page interesting, and if you’re a media composer thinking about putting together a showreel page of your own, I hope this helps! Since I hadn’t shared this on the blog before, I thought I’d talk for a moment about what it felt like as a composer (and a Trekker) to contribute a little music to the Star Trek legacy. 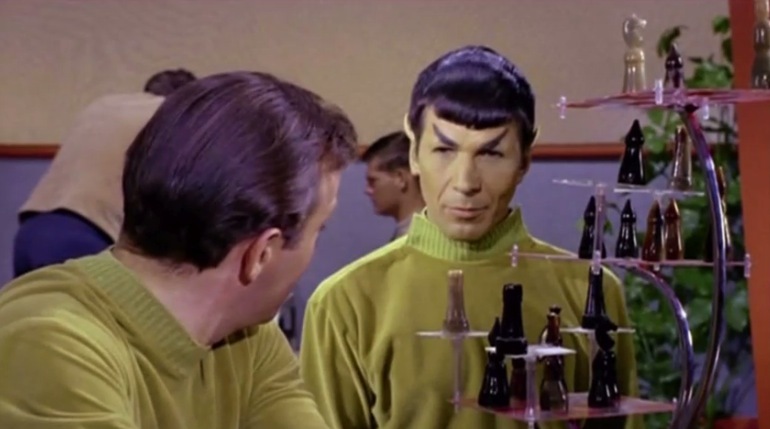 Trek Nation is a documentary about the iconic science-fiction phenomenon. The documentary focuses particularly on Gene Roddenberry, who created the original Star Trek series, as well as Star Trek The Next Generation and the first six Star Trek films. Gene Roddenberry’s son, Eugene Wesley “Rod” Roddenberry Jr., executive-produced the documentary, which was nominated in 2012 for a Saturn Award from the Academy of Science Fiction, Fantasy & Horror Films. I was one of a group of composers who contributed music to the project. 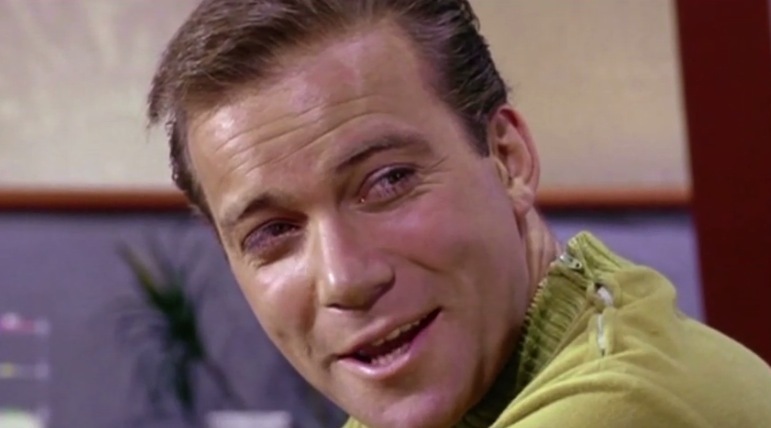 Yesterday, I finished updating my web site to include a page devoted to video clips of my television and advertising credits, and in the process of compiling the list, the clip from Trek Nation made me pause, plunged in childhood memories. No matter how many times I see it, I’m always pleasantly startled to hear my own music playing under clips of Kirk and Spock from the original series. As a kid, I was an avid Trekker, and throughout the years I’ve remained loyal. I’ve seen it all, from the Original Series, to the subsequent television incarnations and movies, to the recent cinematic reboot film and its sequel. Such was my loyalty that I even steadfastly watched those two other sci-fi TV series bearing Gene Roddenberry’s name (Gene Roddenberry’s Andromeda and Gene Roddenberry’s Earth: Final Conflict). As a kid, running around my neighborhood while pretending to be on a perilous away mission, I couldn’t have dreamed that my music could ever be in a documentary produced by Gene Roddenberry’s son – a documentary in which my music would underscore some gentle sparring between the captain of the Enterprise and his pointy-eared science officer!